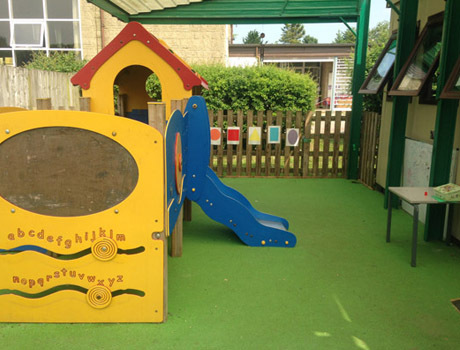 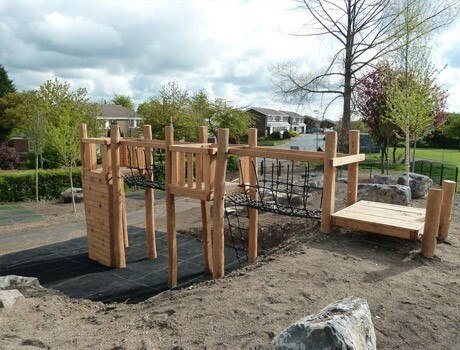 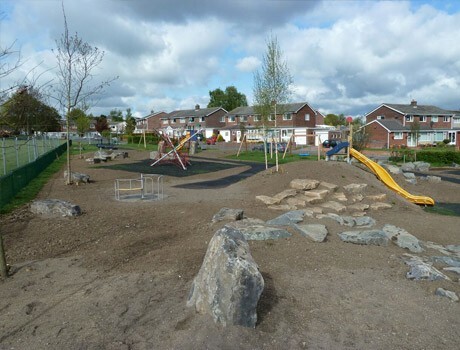 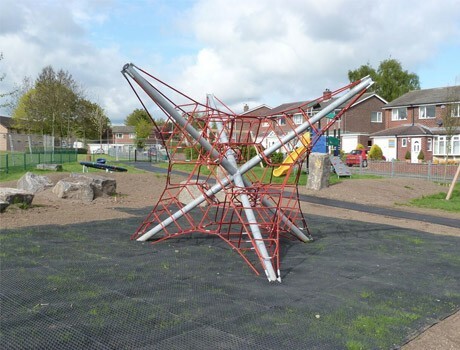 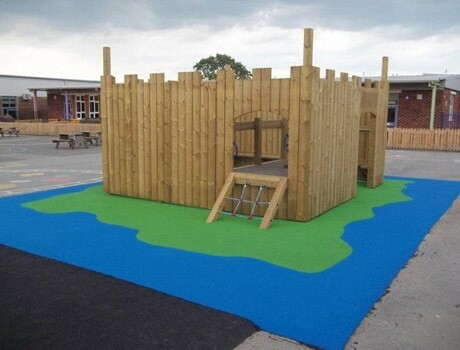 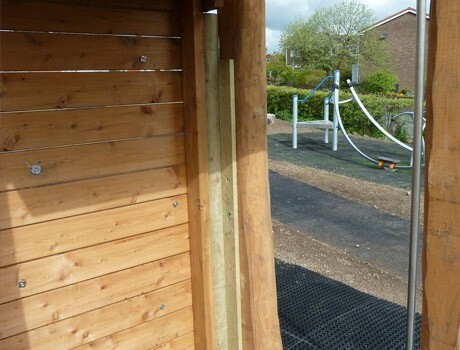 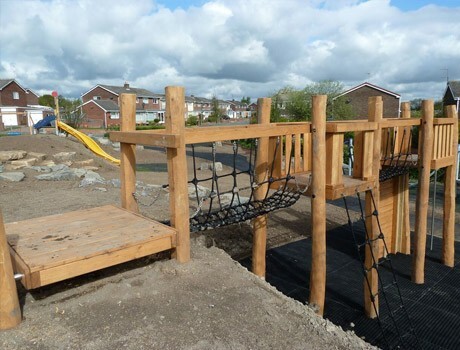 This design and build outdoor adventure playground for Durham Council demonstrates an excellent turnkey playground project, benefitting from our own in house installation experts who innovatively interpreted the playground design. 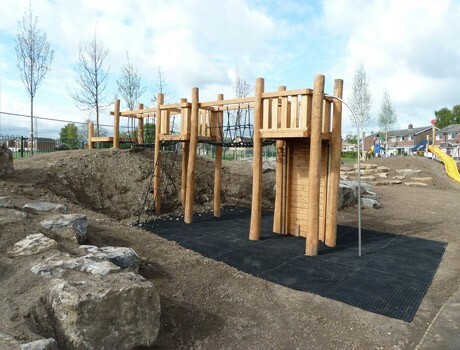 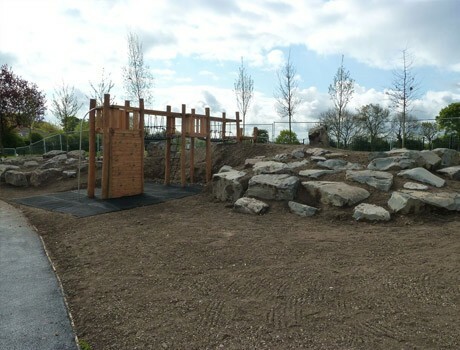 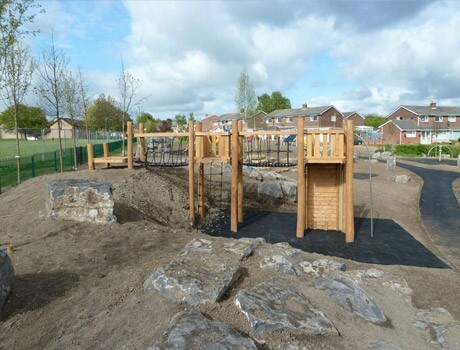 The gabion mounded was constructed to meet the height of the timber play structure to bring diversity and natural play into the adventure playground, as well as structured climbing activities within the multi unit. 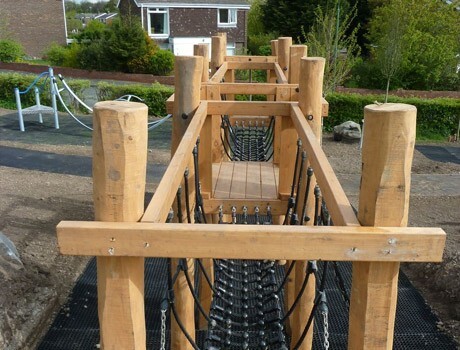 The play activities included a fabulous rope suspension bridge leading to a challenging fireman’s pole and a vast climbing wall. 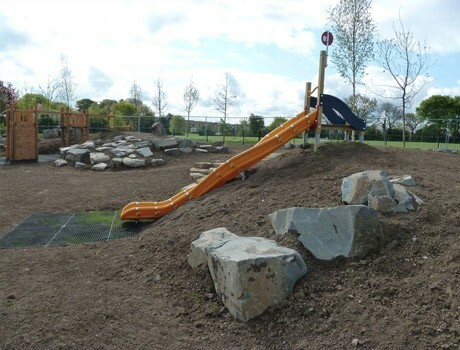 Significant earth moving and grading created the correct elevation angle and length for the new embankment slide which has large clambering glacial boulders as giants steps to use up the slope. 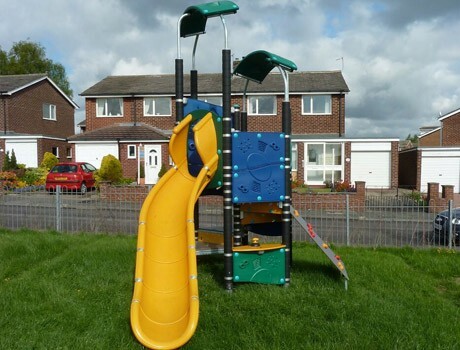 The Toddler Kompan multi unit provided super challenging play with a climbing ramp, curved steps and a wavy vibrant yellow slide. 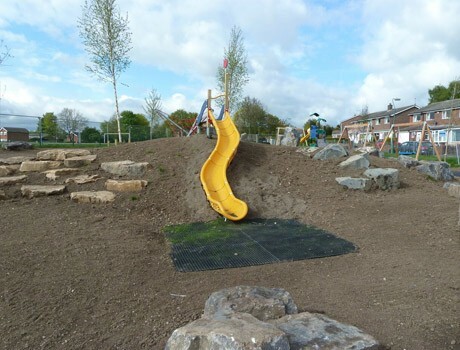 Grassmatting was the preferred safety surfacing to keep costs down, utilising the newly graded soil which was seeded, keeping the area very natural within the play area design scope.